BlackBook Toy will be returning to Hong Kong for this weekend’s Toy Soul show (12.15 – 12.17) in booth i05 with new editions of three of their popular figures and several one offs from Marvel Okinawa including a preview of BBT’ upcoming mascot figure, Guy. 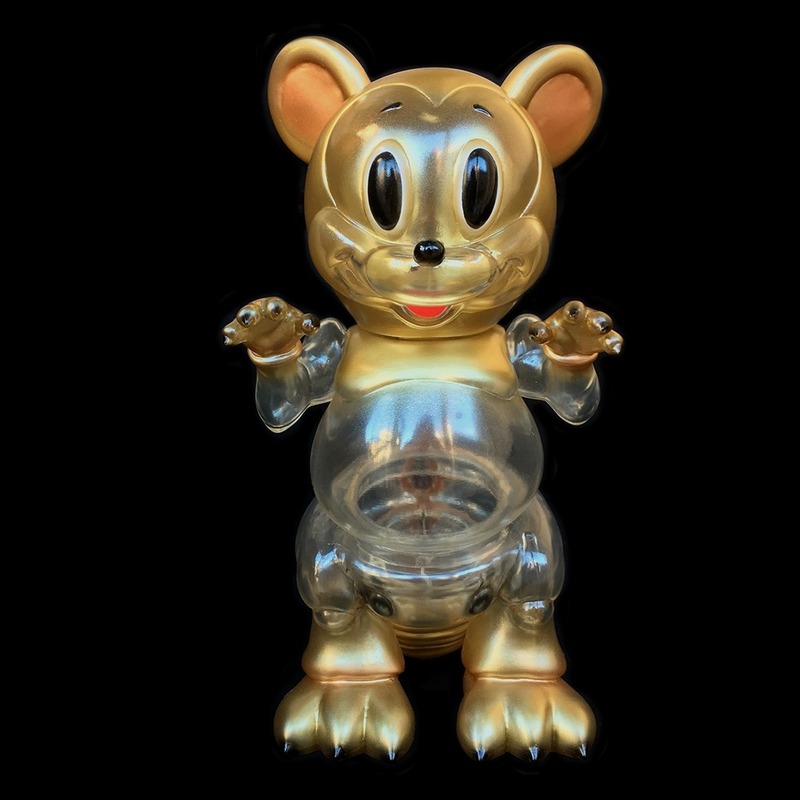 First up is the new Golden Stealthzilla from Ron English (HK$1180|US$151). The new Mousezilla colorway features a nice mix of gold and copper accents on super clear vinyl. Speaking of clear, BBT will also have the new The Beast Stealth from Mishka and Lamour Supreme (HK$1600|US$204). 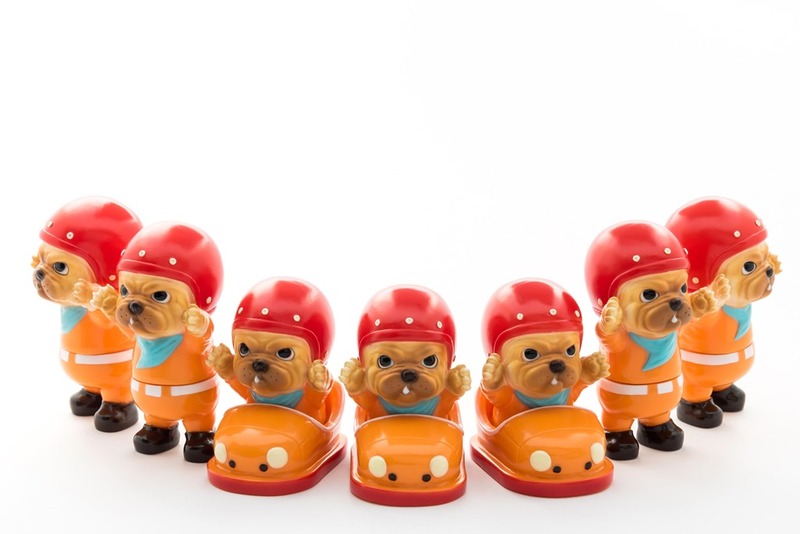 Rounding out the new editions is our favorite of the new drops, MC S’K’UM-kun (HK$1200|US$154). 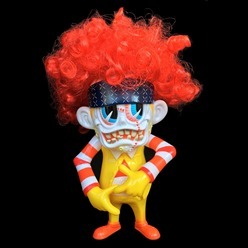 While Ronald McDonald riffs are not new, this one really hits the spot. With the flowing red wig, the skinny body, and the comical face, MC S’K’UM-kun delivers what we’d describe as a mischievous teenage McD mascot. 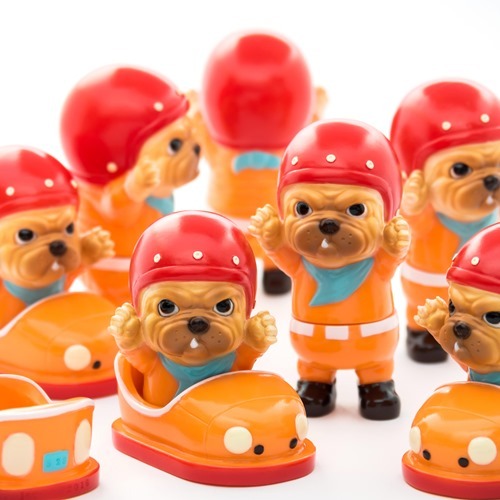 BBT will also release a large number of excellent customs from Marvel Okinawa including versions of Mousezilla, S’K’UM-kun, and Evil MC as well as one-offs of the Yamakichi (HK$2160|US$276) and Tagosaku (HK$2600||US$333) figures from Yamakichiya. 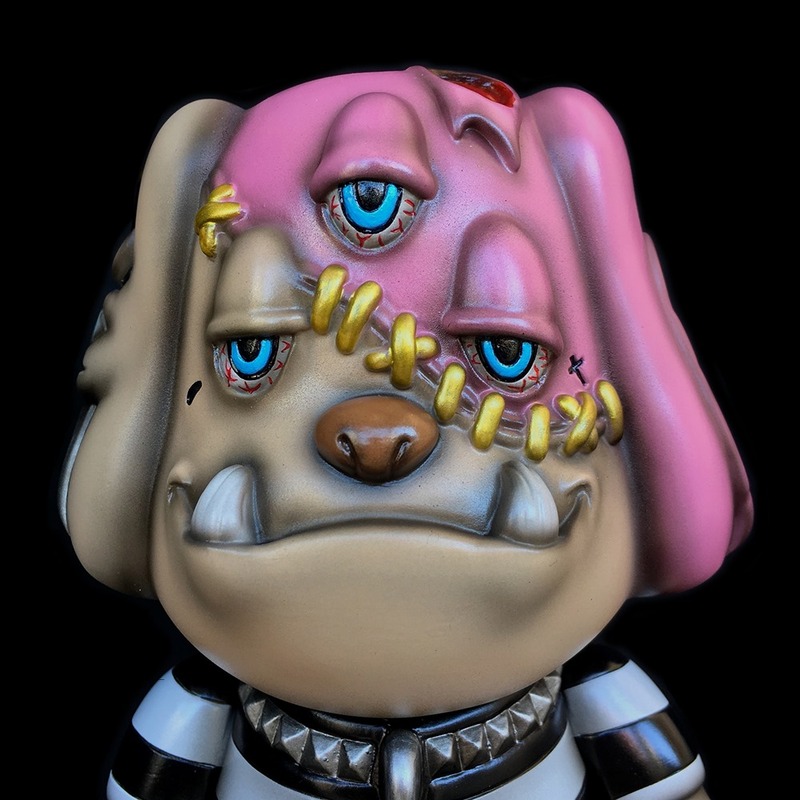 Finally, Blackbook will present the first look at their new mascot vinyl, Guy, as a hand-painted one off from Marvel Okinawa who designed and sculpted the bad boy canine from BBT’s original concept. 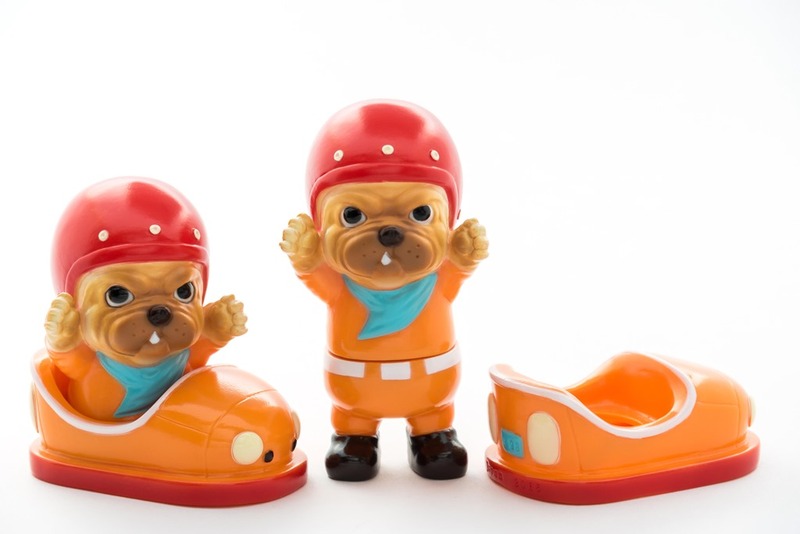 While the production figure will be released at a later date, this first custom is based on Okinawa’s original sketch for the figure design. 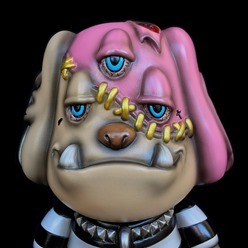 Guy is a character of contrasts blending a ‘toon inspired style with a hard-edged persona ready to rumble with spiked bat, brass knuckles and removable hood. Hit the jump for more preview pics including full shots of Guy which are not strictly work safe. With the darkness of winter on the horizon, Six TwentyEight is bringing you some much needed cheery brightness with the next MITT edition. Sunrise features the irrepressible bumper car bulldog in a radiant orange edition with red and blue accents. Maybe it’s just us, but MITT himself seems to have a bit of orange glow as well. 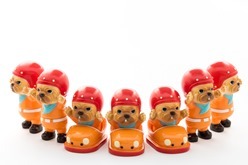 MITT Sunrise debuts at Toy Soul over the weekend in HK (12.15 – 12.17) from the Wrong Gallery booth [F-14]. Look for an online drop sometime in January.